For fans of John Green and Rainbow Rowell comes this powerful novel with the most fearless heroine self-proclaimed fat girl Willowdean Dickson from Julie Murphy, the acclaimed author of Side Effects May Vary. With starry Texas nights, red candy suckers, Dolly Parton songs, and a ... read full description below. For fans of John Green and Rainbow Rowell comes this powerful novel with the most fearless heroine self-proclaimed fat girl Willowdean Dickson from Julie Murphy, the acclaimed author of Side Effects May Vary. 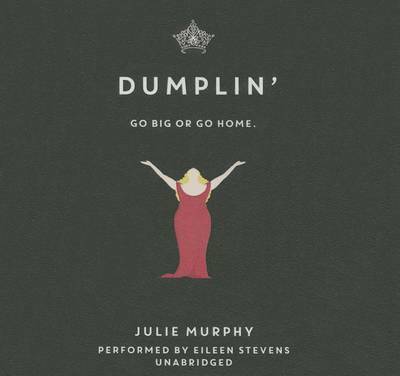 With starry Texas nights, red candy suckers, Dolly Parton songs, and a wildly unforgettable heroine Dumplin is guaranteed to steal your heart.Dubbed Dumplin by her former beauty queen mom, Willowdean has always been at home in her own skin. Her thoughts on having the ultimate bikini body? Put a bikini on your body. With her all-American-beauty best friend, Ellen, by her side, things have always worked until Will takes a job at Harpy s, the local fast-food joint. There she meets Private School Bo, a hot former jock. Will isn t surprised to find herself attracted to Bo. But she is surprised when he seems to like her back. Instead of finding new heights of self-assurance in her relationship with Bo, Will starts to doubt herself. So she sets out to take back her confidence by doing the most horrifying thing she can imagine: entering the Miss Teen Blue Bonnet Pageant along with several other unlikely candidates to show the world that she deserves to be up there as much as any twiggy girl does. Along the way, she ll shock the hell out of Clover City and maybe herself most of all. Julie Murphy lives in North Texas with her husband who loves her, her dog who adores her, and her cats who tolerate her. When she's not writing or trying to catch stray animals, Julie can be found in a library smelling old books and manning the reference desk. Her acclaimed first novel is Side Effects May Vary. Eileen Stevens is a voice-over actress living and working in New York City whose voice can be heard on cartoons, promos, programs for English-language learners, and audiobooks. She has voiced Iris on Pokemon. 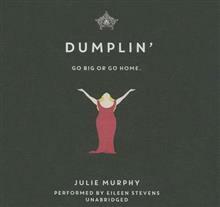 An Earphones Award-winning narrator, she has also directed and produced audiobooks for over six years.